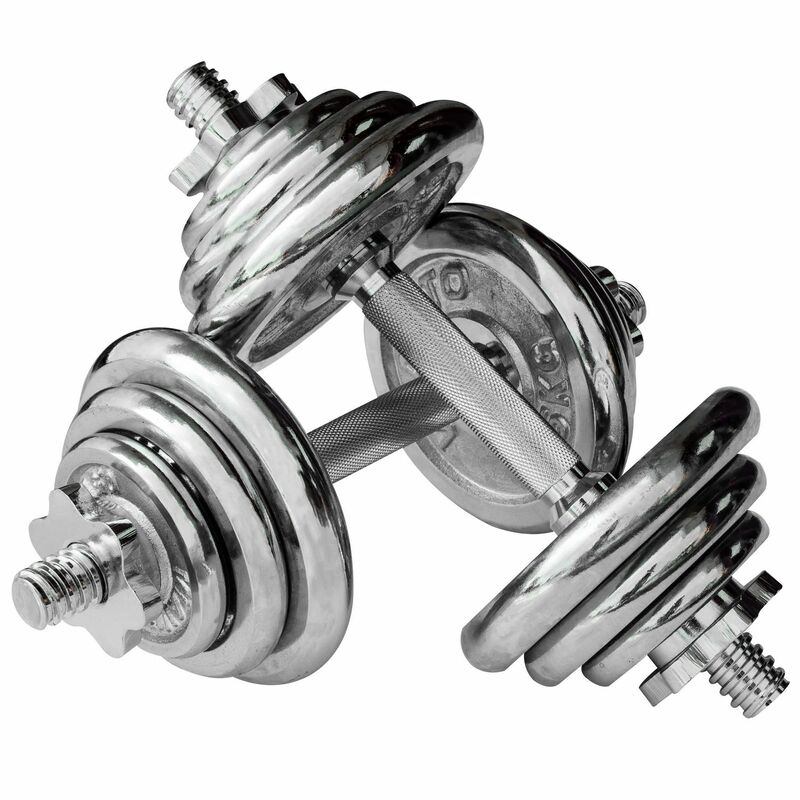 for submitting product information about Viavito 20kg Chrome Dumbbell Set We aim to answer all questions within 2-3 days. for submitting product information about Viavito 20kg Chrome Dumbbell Set. We aim to answer all questions within 2-3 days. If you provided your name and email address, we will email you as soon as the answer is published. Are they solid chrome or chrome-plated? Does this set come in a carry case? Unfortunately this Dumbbell Set doesn't have a carry case. 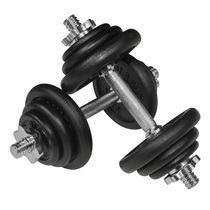 A good set of dumbbells that are a great addition to my home workout equipment. Good quality at a reasonable price. I’m very pleased with my purchase and would highly recommend these dumbbells. A very good piece of equipment,you wont find better for this price so why spend more on something half as good when this set will last you a life time.The weights can be changed quickly and with ease and they look really neat which is no bad thing.Do yourself a favour and stop wanting these and buy them you want them because you need them and a year from now the set will still look new and you will see the benefits of using them.A great buy highly recommended get them before the dreaded words "OUT OF STOCK"
I've owned lots of dumbbells in the past but never had chrome ones before, they've always been cast iron. These feel very solid and durable and are ideal for me. I do circuits with them so arms, shoulders, traps and back then repeat. Get a nice pump and much easier than travelling to the gym. Really like the look and feel to these chrome dumbbells they feel very premium which is surprising considering the price. Mainly use these to work on my arms and you can do so many different exercises because you can adjust the weight on each one. very happy. I've not seen dumbbells in this chrome metal finish before but thought I'd go for them because they were so reasonably priced. Really happy with my choice , came super quick and no problems whatsoever! 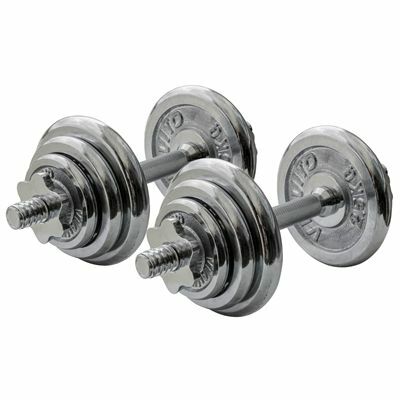 Nice quality dumbbells! I personally prefer this finish to the cast iron black ones as it is a more premium feel. Nice and secure, good for arms and shoulder workouts and has made a nice addition to my new studio which is starting to look good now. 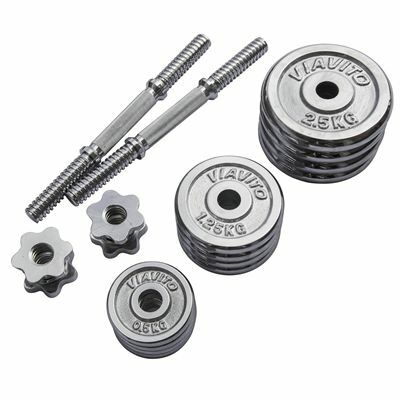 for submitting product review about Viavito 20kg Chrome Dumbbell Set.